The Neuroseeds Lesson Plans are free and available for download. Click here to see the 8 lessons. Bloomin Brains Camp was held July 10th to the 14th, 2017. 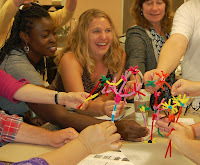 Teachers learn how to teach neuroscience using the Neuroseeds curriculum and kits. 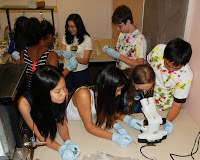 You can help support the Sowing the Seeds of Neuroscience program.